Natural North American grown straw insulator, which you can see! 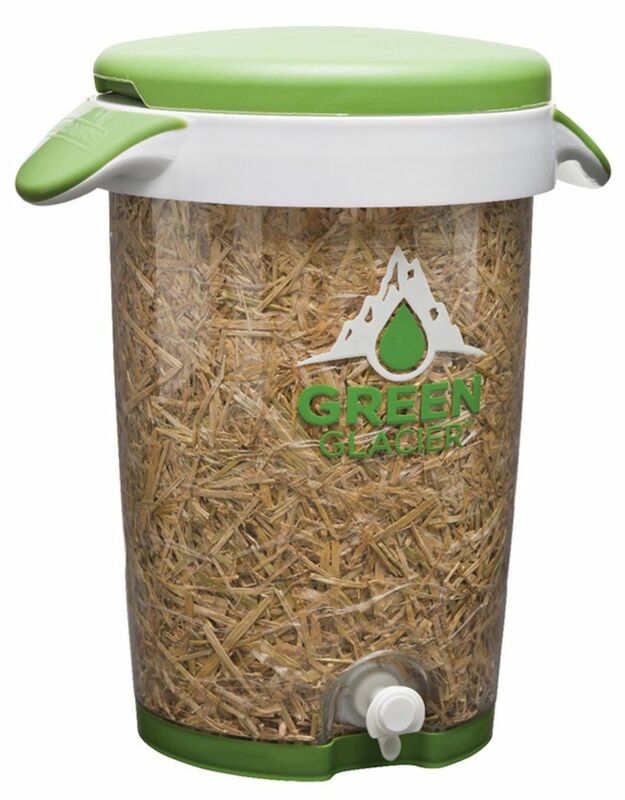 Green Glacier 10L Cooler The Green Glacier cooler utilizes a NATURAL straw insulator that has been used for centuries from Roman ice houses and even today in homes. By doing away with chemical foam insulation we are reducing the environmental impact to manufacture a beverage cooler, and using a replenishable resource that insulates better.